In five years’ time, more than 40 per cent of Twitter users will be in Asia Pacific, according to a new report by research firm eMarketer. Slowing user growth in the United States has been a growing concern for Twitter ever since it went public late last year. It is also a major reason why the company’s stock is down some 50 per cent so far this year. However, Twitter could be getting a lifeline in Asia. The bird is flying east and not even a Twitter ban in China is slowing the mass migration. There are already more Twitter users in Asia then in the United States and Western Europe. In five years’ time, more than 40 per cent of Twitter users will be in Asia Pacific, according to a new report by research firm eMarketer. India and Indonesia will have the most consistent growth with both seeing increases well above 50 per cent this year. “If you look at places like Indonesia, the number of people on Twitter is rising, but it’s starting from a small base so the growth numbers will be at least in the double digits for at least the next few years,” said Ajay Sunder, senior director of telecoms Asia Pacific at Frost & Sullivan. 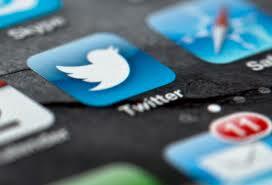 The challenge now becomes on how to monetise Twitter’s growing popularity in the region. Experts say becoming culturally relevant is a good place to start. Unlike their Western counterparts, Asian consumers tend to prefer more exclusive social networks, hence the rise of chat apps like Line and WeChat. They are also big buyers of virtual goods. “Twitter is not a player when it comes to person-to-person or direct messaging, which they really need to beef up,” said Shiv Putcha, associate director of mobility at IDC. However, the biggest challenge is still user engagement because turning a profit becomes almost impossible if people do not know how to use Twitter. Difficulty finding relevant content remains the number one reason people quit using the service. “People are still not that aware of how to follow, how to create a hashtag, how to promote their Twitter hashtag,” said Mr Ajay.